Why Rosemarie Rohatgi, DMD, left general dentistry to open San Diego Sleep Therapy, where she exclusively works with patients who have obstructive sleep apnea. Many people advised Rosemarie Rohatgi, DMD, that a dental sleep medicine-only practice would not succeed. But San Diego Sleep Therapy is now a thriving dental practice in which most patients are physician referrals. General dentists often start with making a few oral appliances “here and there” when opportunity presents itself as a complement to their traditional practices. Far rarer is a dentist who jettisons the safety net of a traditional practice altogether to focus exclusively on dental sleep medicine. Rosemarie Rohatgi, DMD, is one of those trailblazers. 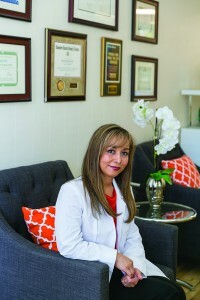 After almost two decades as a general dentist, she went looking for a new space to ply her trade. While she had no equipment, no physical location, and could not take any patients with her, she made it a point to lay a strong educational foundation, earning Diplomate status with three separate boards, the American Board of Dental Sleep Medicine, the American Sleep and Breathing Academy, and the American Board of Craniofacial Dental Sleep Medicine. Rohatgi previously had completed her undergraduate training at University of Oregon, Eugene, and graduate work at Oregon Health Sciences University School of Dentistry, Portland. She also completed a sleep medicine residency at the University of California, Los Angeles. Rohatgi and a medical office assistant review notes in the modern-styled reception area. Patients tell sleep physicians how they feel better with oral appliances, and their personal stories also build referrals. “Quite often we hear, ‘This is definitely working better than CPAP,’” Rohatgi says. Documenting the injuries in S.O.A.P. (subjective, objective, assessment, and plan) notes led to additional discussions with physicians during hospital sleep rounds. “I eventually referred her to a neurologist because we knew she was sleep walking, and her injuries were getting more serious,” says Rohatgi, who by then suspected REM sleep behavior disorder. “She did not want to go see another doctor and have another in-lab PSG, so I had to cajole her. He ordered an in-lab PSG. “She was diagnosed with nocturnal epilepsy,” Rohatgi continues. “She had a seizure during the sleep study. We were fortunate to obtain this data during her study because it did not happen every night. They eventually found a hemangioma. When I came back for another sleep round, a colleague said: ‘Well of all people, it’s a dentist who found it.’” Rohatgi takes pride in getting patients such as this mother into the proper hands and in following up. 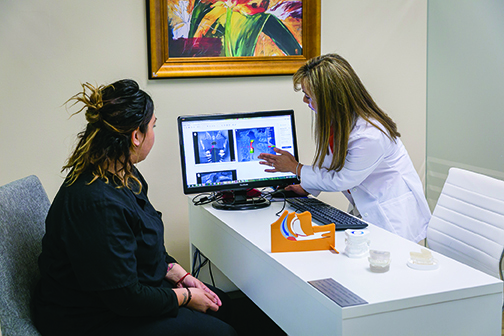 In addition to having a network of sleep physicians to refer to, Rohatgi also maintains relationships with general dentists in her area to refer patients who need dental services that she no longer does herself. Despite exponential growth in sleep apnea awareness over the last decade, there is a large population of potential patients who still have never even heard of oral appliance therapy. Rohatgi thinks reasons include that patients “are not informed about the oral appliance alternative” and that some sleep physicians lack the confidence in oral appliance efficacy. 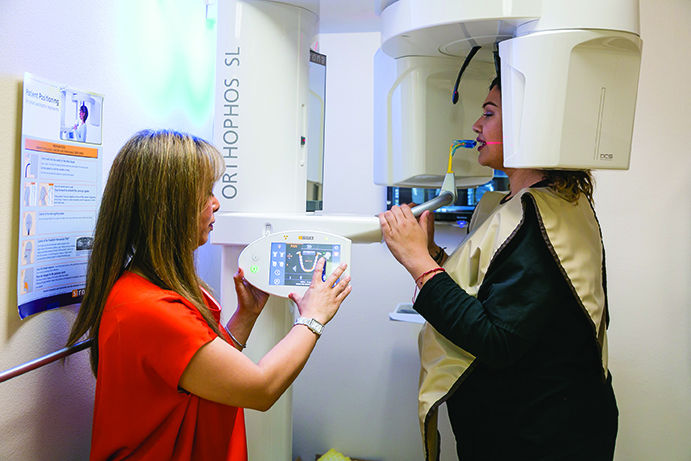 Rohatgi eschews polyvinyl siloxane impressions in favor of a Carestream intraoral scanner, which she demonstrates on a medical office assistant. 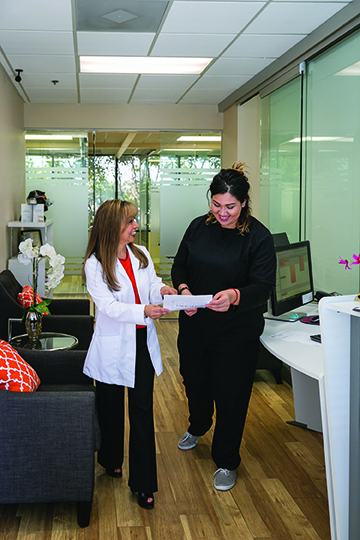 Patients who eventually find their way into Rohatgi’s office appreciate the practice’s modern architectural feel that gives a hint of what is to come; namely, the latest technology. Rohatgi counts herself as an early adopter of new technology, even if that means larger capital expenditures. 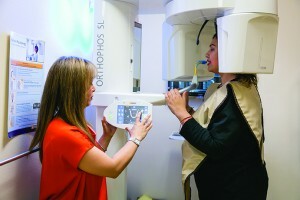 Rohatgi demonstrates proper patient positioning for usage of the Orthophos SL 3D cone beam computed tomography imaging system. Rohatgi uses CBCT as an educational tool, particularly since not all patients realize the airway isn’t perfectly circular. With two young children (a 4-year-old girl and 6-year-old boy), Rohatgi and her husband are all too familiar with the challenges of getting enough sleep. Being a wife, mother, and full-time clinician/business owner is not easy and admittedly leaves little time for old pastimes such as playing the piano, travel, tennis, remodeling homes, and wine tasting. “The balance is the biggest challenge in my life. It is difficult and a constant ‘work in progress’ with trying to make time for everything,” she says. And yet, Rohatgi is adamant that her bold career decision was the right move. That decision is repeatedly affirmed when new patients come through the doors, sometimes at their wit’s end. Whether it’s a new patient, or one who has put away his CPAP a decade ago and is still seeking alternatives, the possibility to make a positive influence remains a gratifying part of the job. Greg Thompson is a Fort Collins, Colo-based freelance writer. What Causes Snoring And Can It Be Stopped?